Gracias, Merci, Mahalo, Grazie, Salamat—there are many ways to say thank you to someone who has done you a favor, even without them asking for anything in return. But when saying these words to every single person becomes impossible to do (mainly because there are just too many of them), we let the tags do the talking. 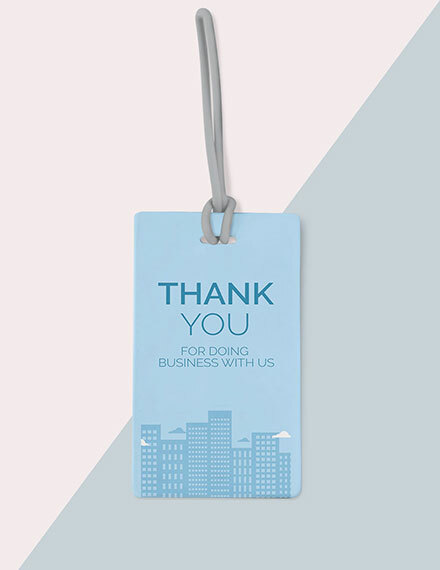 Thank-you tags are more than just an accessory in the world of arts and crafts, as they have also become an essential product in business and leisure events. So in this article, let’s dive in deeper into what tag designs are and how they are created. 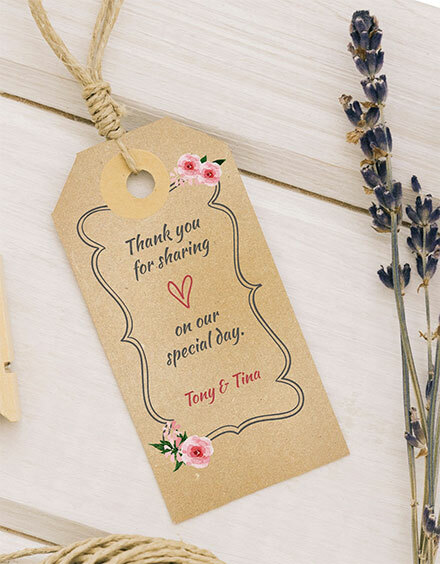 You’ve probably received a wedding thank-you tag along with a special gift a few times before. This was the newlywed couple’s way of extending their heartfelt gratitude toward you, and for attending the ceremony or reception despite your busy schedule. It’s a simple gesture that can leave a positive impact with its receiver. Text: Do you realize how valuable typography is in any written material? Imagine if people started using Time New Roman or Comic Sans to create their wedding invitations. Not only can it ruin the essence of the celebration in question, but it can also make you appear lazy and dismissive. The textual element of your thank-you tag enables you to convey your message in the form of words. Think of it as the headline found in marketing flyers and brochure designs.Although you could always use images alone to visually relay your message, using plain text is one way to avoid confusion and misinterpretation. Graphics: The graphical element of your thank-you tag constitutes to the photographs and illustrations used to enhance your message. Most designers consider the textual component of the tag as its centerpiece, with the graphics added to complement what it says.Given the size of an average tag, graphics are usually added around the material to create a border, or perhaps even over or close to the text for emphasis. The Message: This goes beyond your typeface and style of choice. 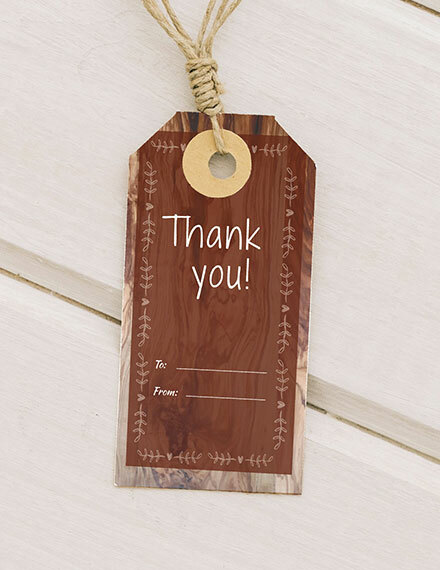 The main purpose of a thank-you tag is to deliver a specific message to its intended audience. You can either use a simple text or image to communicate your message, or perhaps even a combination of both. While most thank-you tags contain the mere words of thanks for simplicity reasons, you do have the option to add a short message following it. Without it, you might as well send your recipients a blank canvass for them to recycle. The initial stage of the design process is usually the most challenging part for many beginners. You probably have a good design in mind but have no idea where to start. The good news is, designing an eye-catching thank-you tag is so easy you could probably do it with your eyes closed. It’s always best to begin the process with a rough draft of your design. This is where all the thoughts and ideas that were conceptualized are finally put to paper. You could either make a rough sketch of your design manually or you can apply it directly to the vector editing software of your choice. This way, you could easily analyze whether your ideas are worth pursuing or not. If a mere “thank you” doesn’t cut out for you, you could always look for other ways to deliver your message. Maybe you could say it in a different language, or perhaps you could add in a doodle or an illustration that best suits your purpose. Whatever you decide to do, be mindful on how it is presented. You need to keep it brief and straightforward to save on space. There’s no sense in prolonging your message if you’re only making it difficult for readers to understand. Try not to overwhelm viewers with a ton of graphics. Some graphic elements may look attractive when applied individually, but not altogether. 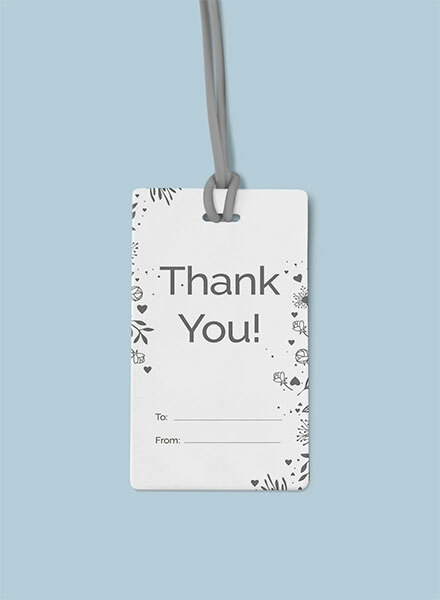 You could include small illustrations, artworks, and drawings to enhance your thank-you tag in a simple yet creative way. Always remember to recognize the value of simplicity before going overboard with your design. Tags come in all shapes and sizes. Choosing a size that’s right for you will make it easier to identify which items need to be replaced or altered in your tag. A thank-you tag that’s the size of the palm of your hand will essentially contain more in terms of content, while a thank-you that’s the size of your finger can be kept super simple and unique. 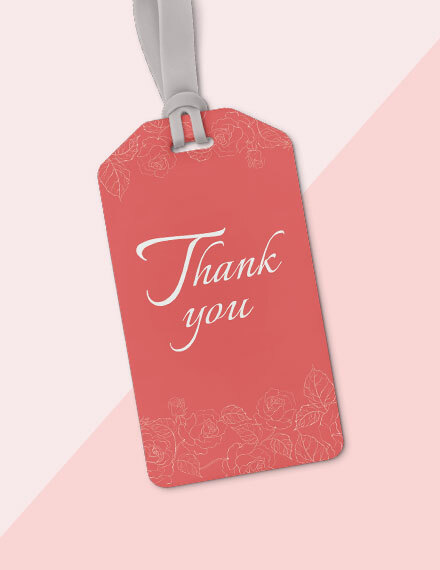 Before printing out multiple copies of your thank-you tag, seek for a second opinion from someone you trust. It can be a friend, a colleague, or a family member, as long as they can be bluntly honest with you regardless of potentially jeopardizing your relationship. You can even ask for third, fourth, and fifth opinion from other people just to be on the safe side of things. Know your purpose. Since we’ve already established the obvious reason for creating a thank-you tag, it’s time to focus on the specifics. What are you saying thank you for? Who are the direct recipients of these tags? You need to identify your purpose for writing in order to determine the type of look and feel that must be achieved through your outcome. Keep your message short and to the point. No more flowery words about how roses are red and violets are blue. Instead, cut to the chase and say exactly what you need to say. The last thing you would want to do is to cram everything into a small space, making it difficult for people to read the tag’s content from a considerable viewing distance. It’s also important to use simple language in order to attain clarity with your message. Good color selection matters. We all know how crucial color selection can be. Vibrant colors may seem like a good choice, that is, until you realize how blinding they can be when applied poorly. You have to choose colors that complement your message, along with the essence of the celebration at hand. 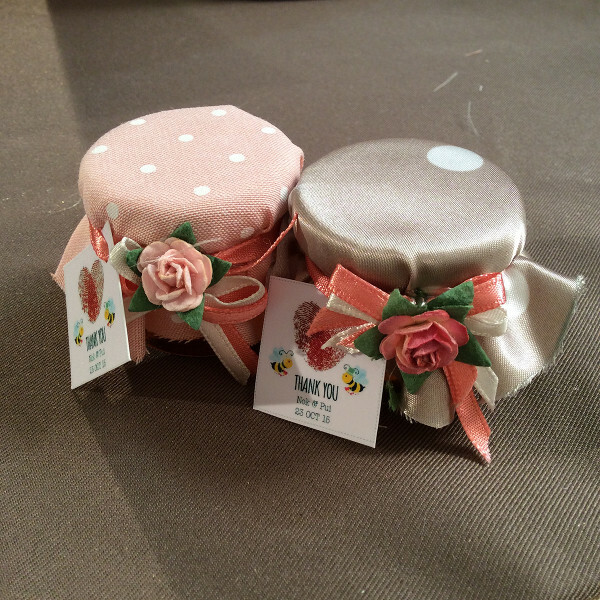 Say for instance, light, soothing colors like baby blue and pink are perfect for weddings and baby showers. By choosing the right colors for your layout, you can accomplish a thank-you tag that’s worth keeping. Maintain a clean-cut layout. Simplicity is an essential factor to consider when crafting your design. You must avoid a cluttered layout at all costs, as this may affect the readability of your content. It’s important to use white space when necessary and to create a border on the outline of your tag to produce a visually pleasing output. 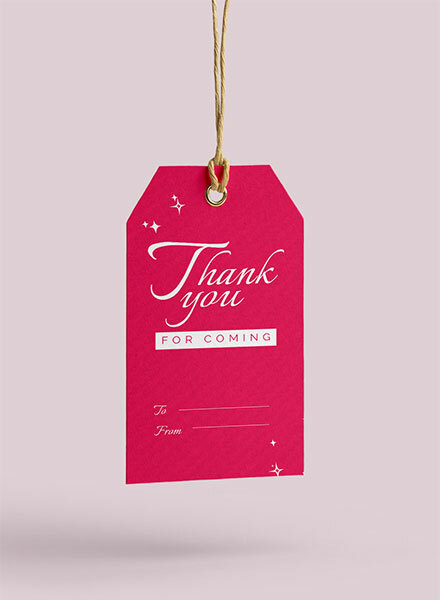 Not all thank-you tags have the words “thank you” written in bright, bold letters. 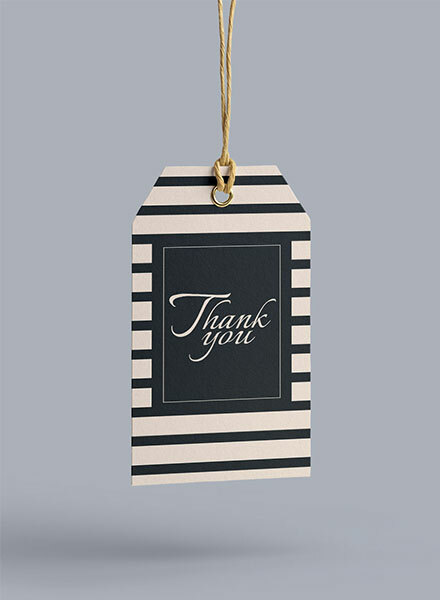 Some thank-you tags can come in the form of a gift tag or even a product tag. 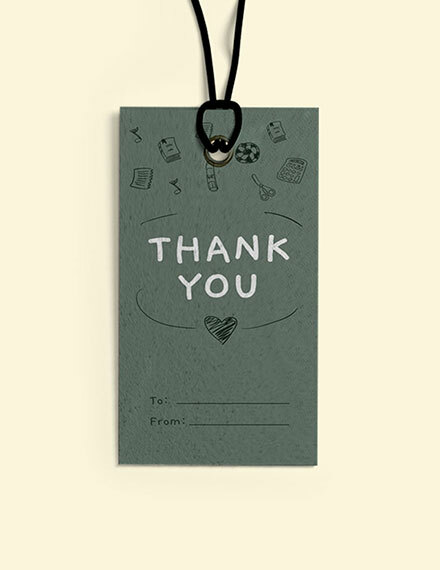 Though it may have been made for a different purpose, you can still use them to extend your utmost gratitude to a friend, relative, colleague, employer, or even customer. Though there isn’t an exact classification for these tags, designing them according to their specific types (or function) is vital for a successfully delivery. How can I make a thank-you tag? 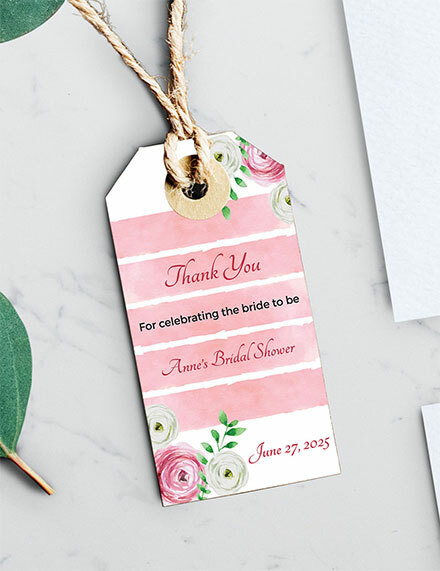 There are two ways to create a thank-you tag—you can either do it manually with a pen and paper, or with the help of an editing software and printer. If you have the time to create a series of customized thank-you tags by hand, don’t think twice about it. The great thing about this approach is that it allows you to personalize each tag according to its intended recipient. You don’t have to worry about printing costs either, as you could always recycle some old folders or cardboards and make use of magazine and newspaper clippings for design. As for a more modern approach, you can choose between Adobe Illustrator and MS Word, or any software with similar editing tools, to craft your layout. This is great for producing thank-you tags by the bulk, since most printing companies offer awesome discounts for larger orders. 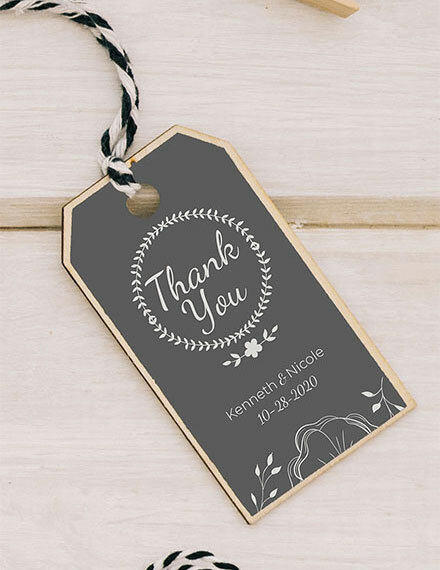 What type of paper is used for a thank-you tag? There are tons of different types of paper in the market that are each categorized by weight. 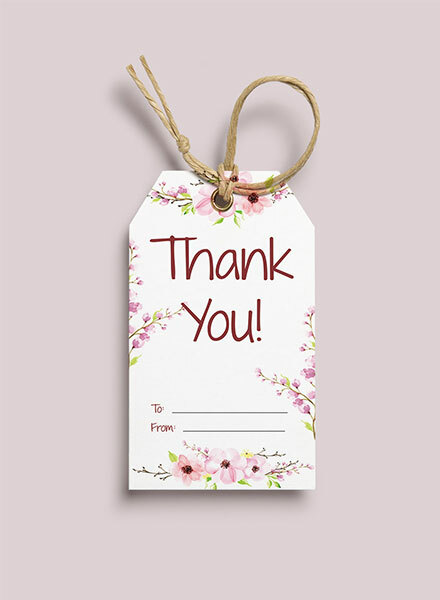 Copy/printer paper, which are often used in offices and homes, are typically a good choice for a thank-you tag. It’s only 20 lbs. in weight, so you don’t have to worry about carrying heavy stacks of paper to the printing room. You can also go for cardstock (around 60 lbs. ), or anything higher if you’re aiming for a thicker material. What is the purpose of a thank-you tag? People use thank-you cards to show their appreciation toward someone who has played a significant part in their life. Similarly, thank-you tags are used to recognize an act of kindness in the form of a written material. You can use the tag to share your sentiments with guests at an event (like a wedding, baby shower, birthday celebration, etc.) or to express your deepest gratitude toward visitors, clients, or customers who have purchased a particular product or service, or attended a formal business function. Why is a thank-you tag important? We can’t always give our thanks to everyone in person, so we let the tag do the talking. Tags are basically the miniature version of cards and notes. It doesn’t seem practical to use palm-sized cards to say our thanks as we distribute gifts and other giveaways to guests at a party, given how our only intention was to give credit to others. Thank-you tags allow us to do the simplest things at the most cost-efficient method. So there you have it! 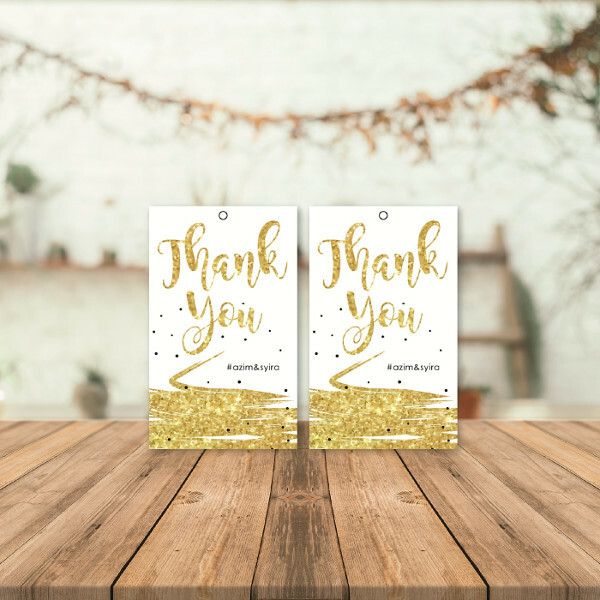 Use a thank-you tag to demonstrate your gratitude towards others with the help of these designs and examples. If you want to know more about thank-you tags, you can head on over to Template.net for more thank-you tag examples and templates.